On this three-year degree, you’ll learn and explore the technology that goes into live event production. 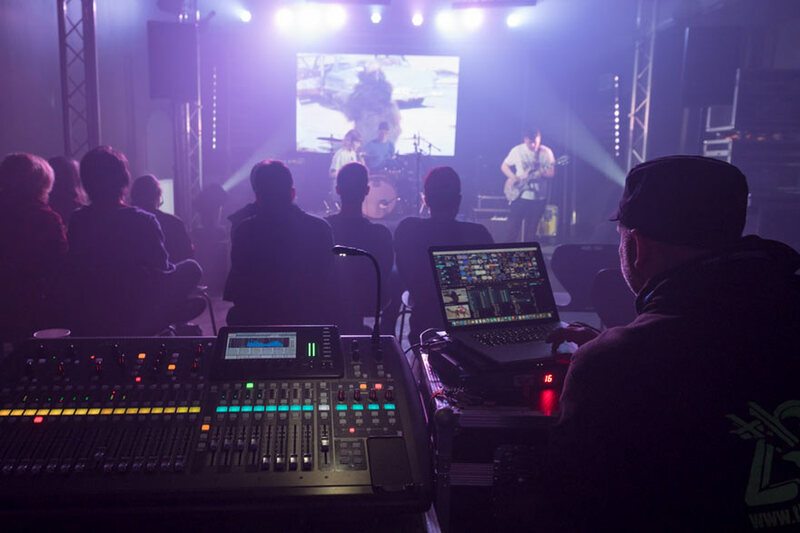 This course is delivered at our new contemporary music hub - Metronome - which houses a 300-capacity live event space and a 93m2 live events production workshop space. You’ll be taught by well-connected industry professionals with extensive experience of live sound, lighting, video technology installation and operation and production management. During the course, all students will have the opportunity to undertake real event work experience, which supports the modules being studied. You’ll develop technical skills, knowledge and experience essential to the live production industry that will set you on a path for a career in live events. You’ll learn about a broad range of disciplines in the live and technical events sector, including lighting design and operation, live sound reinforcement, sound theory and acoustics, electrical principles, equipment maintenance and repair, live video technology including LED video walls and projection mapping, pyrotechnics safety, live broadcast technology, emerging technologies in the industry and live event planning. Industry and work-related opportunities will be gained through live projects, Confetti’s Industry Week, guest lectures and short work placements. Stage lighting is one of the most fundamental technologies in use to enhance the audience experience and support the performance in live events. This module will introduce you to the application of a diverse range of technologies in use, and their underlying scientific principles. You’ll study the use of generic and intelligent lighting fixtures from a range of manufacturers, whilst also developing a working knowledge of distribution, dimming and control network hardware. You’ll investigate current health and safety legislation and implement practical skills during industry practice focused workshops and live events. You’ll also gain knowledge of the historical developments in stage and lighting technology and how that informs current industry standards and working practices. During this module you’ll develop a body of work that demonstrates your developing practice with a range of industry-standard sound reinforcement equipment. You’ll study the historical development of sound reinforcement practices and technology, whilst also honing your practical and critical listening skills. You’ll work both individually and collaboratively on projects in work-related sessions which will closely mimic real-world sound reinforcement settings. An understanding of the principles of electrical systems is fundamental to anyone working within technical roles within the live events sector. It’s of paramount importance that work in industry is carried out with electrical safety at the forefront. This module aims to equip you with a range of practical skills for fault finding, maintenance and repair of audio visual systems. You’ll learn the fundamental principles of electronics, practical soldering techniques and investigate recognised industry standards and practices. Working in the live events industry requires an awareness of the various types of job roles and career paths, alongside an awareness of the historical, cultural and legislative changes that have helped shape the live events sector. This module encourages you to carry out research into the live events industry and analyse current industry trends and legislation, in order to gain a thorough understanding of your chosen industry. You’ll also develop your future employment prospects by engaging in basic work-related activities within the live events industry. This module follows on from the first year introductory module. In this module, you’ll examine advanced functionality of lighting control systems and instruments. Detailed study and practical application of relevant principles will take place to enable you to develop a thorough understanding of the scientific principles of lighting for live events. Operation skills in lighting for performance will be developed using industry-standard equipment. In addition, lighting presentations will be carried out in virtually simulated performance and industry settings. You’ll work towards practical activities such as rigging, focusing, working at height and front of house operations with a high level of skill, ready to enter professional roles in the industry. In this follow on module, students will further their knowledge of sound theory and audio technology. Students will work with a range of mathematical data to study and evaluate acoustic properties in live venues, investigate loudspeaker designs and carry out sound measurements and calculations. This module also has a strong emphasis on practical live sound engineering skills, and students will have the opportunity to develop and hone their skills in the live sound environment using industry-standard software and hardware. During this module students will learn about the key technologies associated with visual effects in a live events context. Core areas of study will include; the design and implementation of visual effects, e.g. projection mapping, vision mixing and their associated technologies. Students will also investigate the practical application of visual effects technology and critically analyse its role alongside other forms of media in live events. The live events industry is a fast paced, ever-changing world and your success in industry is dependent on your ability to not only adapt to changing commercial and consumer priorities, but also to develop innovative approaches to staging live events. Therefore, this module challenges you to research, design and implement a range of emerging technologies within the live events sector in order to develop an innovative, commercially relevant, live event experience in response to a client brief. Working as a team you’ll research, in detail, current technologies available to you as a producer. Throughout this module you’ll work with a commercial client on the design of the event and its associated audio visual content. You’ll identify and implement the technology to make the environment work within the confines of your client’s budget and specification. Throughout the module you’re expected, ultimately, to develop a creative approach to the staging of the event, and wherever possible you’re encouraged to take a multidisciplinary approach through collaborating with your peers in other disciplines (e.g. video, visual effects, music production). A growing number of events markets are utilising live broadcast technologies to reach audiences in new and innovative ways. From low budget streaming applications that enable content creators to reach a wider audience base instantly, through to high-quality, large scale live broadcasts of global events that require detailed logistical and technical planning; the market and consumer expectation of live broadcast is growing rapidly. Consequently, this challenging working environment requires technical staff who have the ability to create solutions that meet stringent technical requirements, as well as reacting and adapting to changing conditions as they arise. As a successful engineer your creative use of technology in this context should ultimately meet or go beyond the expectations of the audience, consumer and client. The aim of this module is for you to research, design and implement technical solutions relating to live broadcast. Throughout the module you’ll work as a team to meet client, audience, performer and broadcast expectations of live events. There is an emphasis on understanding technology to creatively compliment an event. While the module has broadcast requirements there will be collaboration with other courses for the camera work and filming. The expectation is to provide the audio mixes for broadcast, performers and audience and to create suitable visuals for the event that equally meet the requirements for filming. Live productions and music performances are some of the most complex and resource intensive events within the live events industry. In this module you’ll develop the knowledge and understanding of the requirements to plan, manage and advance live events and productions. You’ll examine theories and practices in event planning and logistics, ranging from small-scale local and national events, through to large-scale global events. Throughout the module you’ll explore and evaluate central themes around the economic and environmental sustainability of a live event, such as considerations for transport, power, waste and recycling. The module also encourages you to examine the wider community and cultural impact of production planning, as well as engaging in discourse around ethical working practices and supply chains. Ultimately, the module challenges you to develop a positive attitude to production planning, sustainability, risk management and problem solving, through creative and innovative thinking. Focus on the exploration of cutting-edge and emerging approaches to event production. Teaching and learning will take place in a custom-built live events production space and a range of bespoke IT suites and classrooms. You’ll learn on industry-standard equipment with training from experts in the field of live audio, lighting and live video production. The aim is to further develop your practical, technical and critical thinking skills and to work on the appropriate deployment of analysis and enquiry techniques associated with the live events industry, whilst working on a combination of controlled, in-house activities and real-world client projects. Classes will be a mixture of technical lectures and practical workshops where you’ll explore the core scientific and mathematical principles of the module subject areas. In addition to the theoretical underpinning of the subject area, the teaching and learning activities will predominantly focus on developing your practical skills associated with live events. You’ll gain knowledge of lighting and sound systems to develop productions that utilise these skills in innovative ways. As a live events degree student, you’ll take part in Confetti’s Industry Week – a unique event that brings top names from the creative industries to Confetti for workshops, masterclasses, lectures and seminars. From event organisers to stage managers, Industry Week is your chance to be inspired, make contacts and learn from the pros. 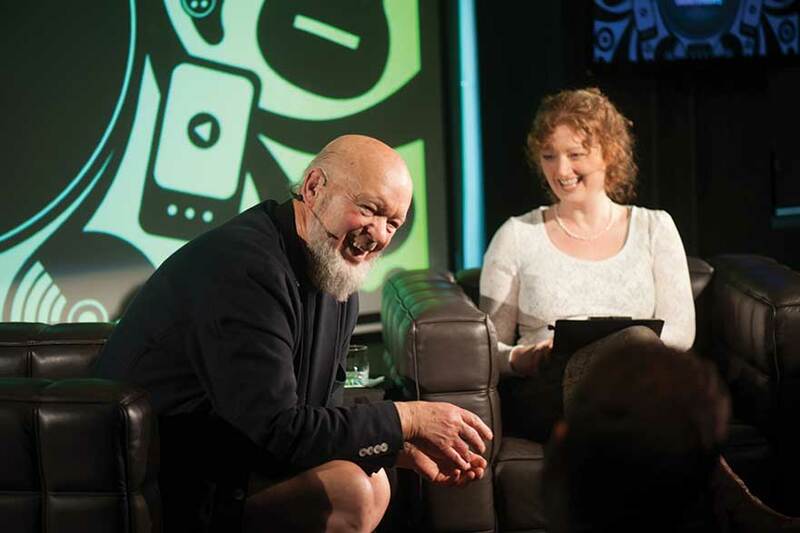 Our students have had the opportunity to meet and receive advice from established names, such as Glastonbury organiser Michael Eavis and artists, such as Professor Green and Will Kennard. Our live events students not only get to attend the talks, but they’re also running all of the lights, sound and staging for all of the events throughout Industry Week, adding a list of production credits to their CV. As well workshops, lectures and seminars, learn through working on live events - including running Confetti's stage at Nottingham's biggest festival - Splendour. Upon successful completion, you will have the option to progress to Confetti’s MA Creative Technologies or MSc Creative Technologies, apply for internships or job roles within industry. All of the above may find you working in live music, theatre, festivals or corporate events in the UK or touring overseas. Employability is at the heart of this degree course - and our students work in venues across Nottingham and the UK. You'll work in industry-standard facilities at Confetti's brand new contemporary music and events hub - Metronome - designed by acoustic architects White Mark Ltd.